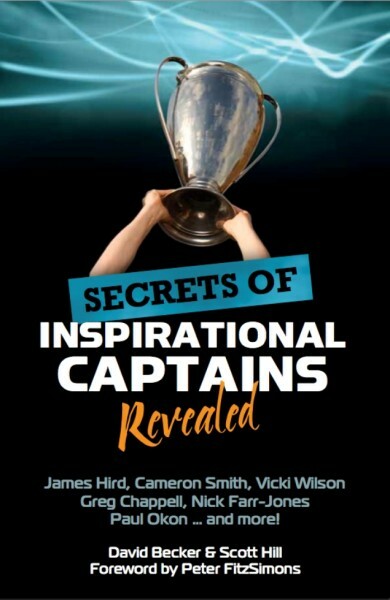 Discover the winning secrets to peak performance in the latest book in the Sports Wisdom Series, ?Secrets of Inspirational Captains Revealed?. Following on from National Bestseller, ?Secrets of Winning Coaches Revealed?, the latest offering imparts the collective wisdom of Australia?s finest sports captains using their personal stories and insights. Business leaders, coaches, teachers, parents and athletes can all learn motivational techniques, how to identify and nurture leadership potential and the art of managing team dynamics. These developmental insights are a fast track to excellence not only in sport, but in life. Some of the legendary Australian captains featured include: Shannon Eckstein (World ironman), Nick Farr-Jones (Rugby Union), Cameron Smith (rugby league), James Hird (AFL), Andrew Gaze (basketball), Nikki Hudson (hockey) and many more. Take yourself to the next level of success. Read the book, apply the wisdom by completing the free user guide included and take yourself and your team to new heights.